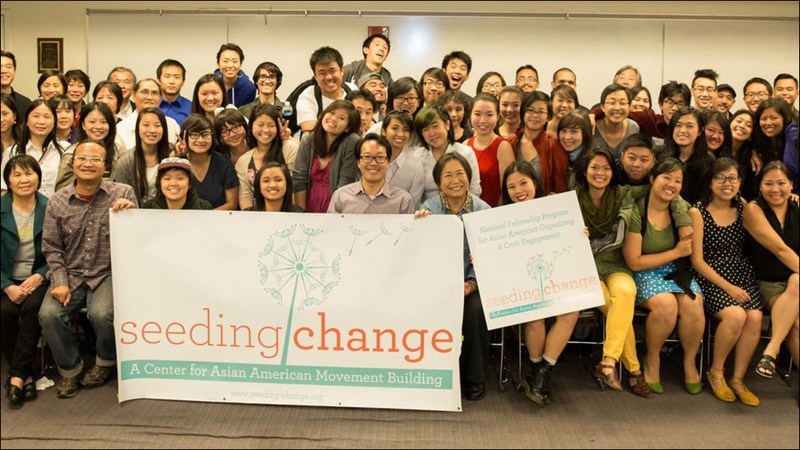 Seeding Change seeks young Asian Americans activists for summer fellowship. 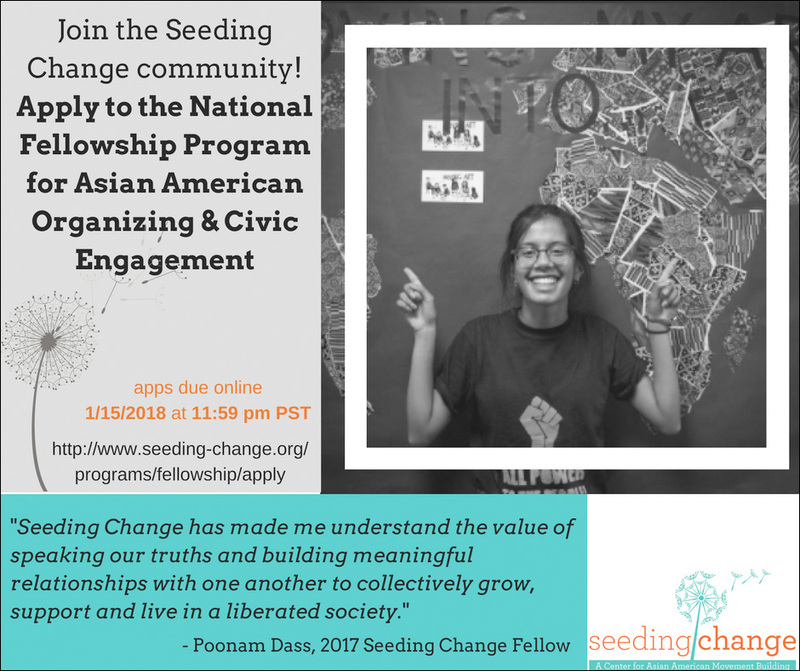 Seeding Change is currently accepting applications for the 2018 National Fellowship Program for Asian American Organizing and Civic Engagement. Applications are due online on January 15. Established in 2014, the fellowship program is an intensive 10-12-week, full-time volunteer program that develops the leadership of a new generation of activists and organizers who are deeply invested in building the power of and improving the lives of working-class Asian immigrant communities. The fellowship program runs June 4 to August 16, 2018. Fellows will be placed with a community-based organization, where they will spend at least 8-10 weeks, working with the organization, immigrant leaders, and the local community. Host organizations are located in California, the Midwest, Northeast, and North Carolina, where they are working in Chinese, Khmer, Filipino, Hmong, Muslim, South Asian, Vietnamese communities. Fellows will have the opportunity to develop their skills from grassroots fundraising, outreach and education, organizing, and language skills. Fellows will also deepen understanding of community organizing and civic engagement. At the beginning of the program, fellows will participate in a week-long training and orientation in the San Francisco Bay Area. The program closes with a week-long retreat in August. Seeding Change grows a national Asian American movement to promote a just, sustainable, and democratic society. Their key strategies include building a national pipeline for the next generation of AAPI organizers; creating an infrastructure for AAPI grassroots organizing; and experimenting with building power and scale for our movements toward a vibrant social and economic justice movement. For further information about the 2018 National Fellowship Program for Asian American Organizing and Civic Engagement, go here. Remember, applications are due online on January 15, 2018 at 11:59 PM PST. If you're interested, get a move on and apply here.